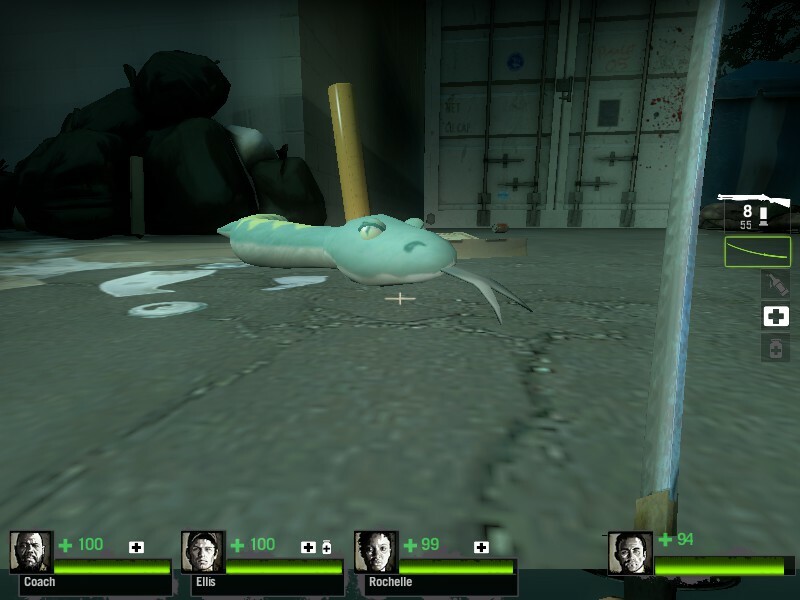 Previously I used Left 4 Dead 2 to show an example of well-distinguished enemy units in a video game. 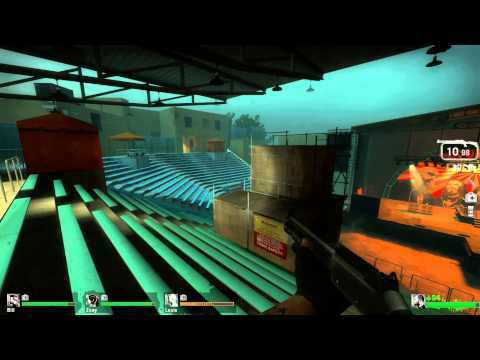 I thought I could also take the chance to look at a little-known element of map design called “thematic gameplay”, and this time compare it to the original game, Left 4 Dead. 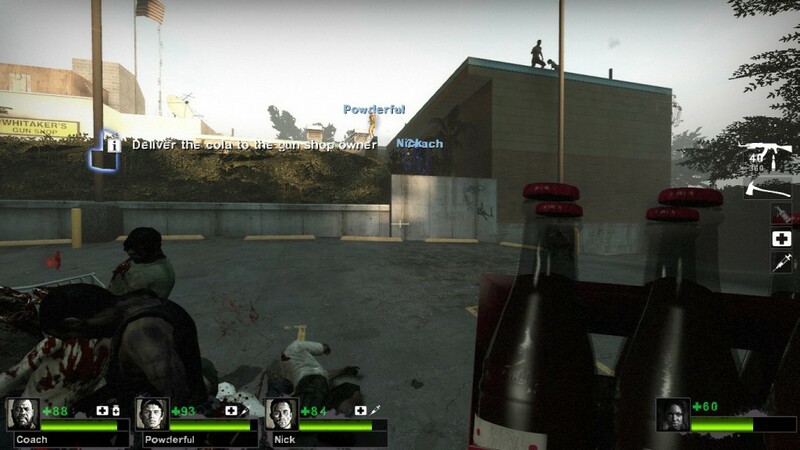 Screenshot from the amazing team backwards-porting the L4D2 maps. Check them out! While the first game’s initial four campaigns have a unifying vision of atmosphere and incredibly strong visual themes separating their design, they are almost completely lacking in gameplay alterations. They all involve forward progression through linear zombie-infested environments, eventually surviving a holdout finale and rushing the escape vehicle as soon as the second tank dies. The second game is no different, but when you examine each of the L4D2 campaigns, you can see that the formula is tweaked ever-so-subtly. (I’m ignoring Cold Stream, as it was a community map that won a contest, and was not made by Valve). Dead Center has “collection” as a theme. 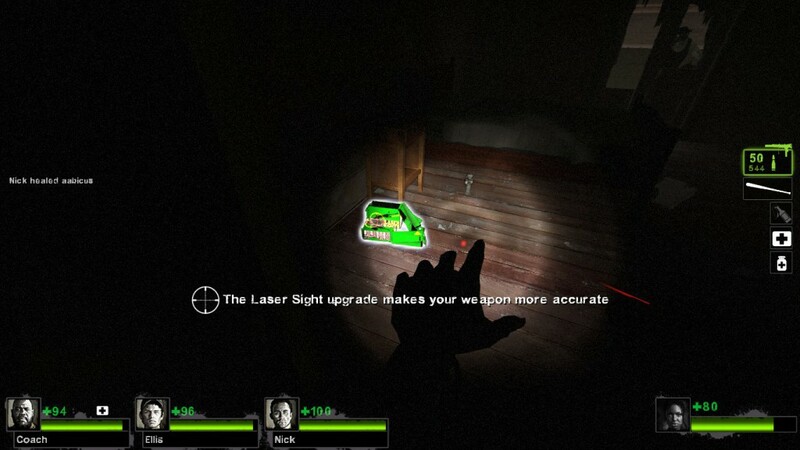 This is shown in the very first map where the survivors begin only with a secondary weapon and must locate more powerful firearms in the first safe room. In the next map, Whitaker’s Gun Shop tasks you with locating a pack of cola and delivering it to him, a subtle way of showcasing the upcoming scavenge mechanics in the finale where the Survivors must find and collect 13 gas cans to fuel the rescue vehicle. Dark Carnival cares more about “holding onto special items” rather than finding them. The survivors can locate a single jar of bile in the first map, which might spawn in a few different places. The players will encounter no more bile jars for the next three maps, due to the fact that it makes the grueling final rush of Map 4 trivially easy. So a savvy player who holds onto the bile for almost the entire campaign is rewarded for their forethought. In a similar vein, the infamous Gnome Chompski appears in this campaign, and an achievement requires the players to constantly reduce the team firepower by having somebody carry him all the way to the escape helicopter. Hard Rain’s gameplay theme is backtracking. It’s the only campaign in the game that has the players return through previous territory to the point they started. For that reason, it also contains the unique weather mechanics like monsoons, wind that drowns out microphones, and Wandering witches that later turns into stationary ones, in order to make the second half feel sufficiently different from the first. The maps also constantly provide players with great shots of pathways that seem useless on the initial run (like catwalks and pipelines along the walls) but become ideal after the grounds become sloggy soupy mud. Swamp Fever is all about ambushes, since you can never see the infected through all the swamp flora and fog till they’re right on you. The hunched and camouflaged ‘mud person’ infected also supports this theme. The surprise third tank during the finale covers a completely different style of ambush; any player who’s played the other campaigns will be expecting only two tanks during the finale. And finally Parish is all about rushing. Maps are even more linear than usual, containing many straightaways and roads. The maps are full of security checkpoints with signs pointing the correct direction, and the game never pulls any visibility tricks; it’s the only campaign that takes place entirely during the day. It’s unique melee weapon, the nightstick, specializes in fast-swinging high-knockback attacks, such as one would encounter when running as fast as possible through hordes. Even the car lot full of alarmed vehicles telegraphs itself; the players can always see exactly what they’re up against, encouraging them to keep the pace up. This culminates in the bridge finale, unique in that the Survivors must race through unending infected waves hoping to reach the rescue vehicle waiting on the other side. Can someone tell me how the Smoker is doing that? The Passing doesn’t really have a theme either, unless you count “stuffing a bunch of gimmicks from the other campaigns together”. Dead Center’s scavenge finale reappears, as does Dark Carnival’s theme of “hold onto this item and be rewarded later” (in this case, the M60 for the sewer rush and red gas cans into the finale). 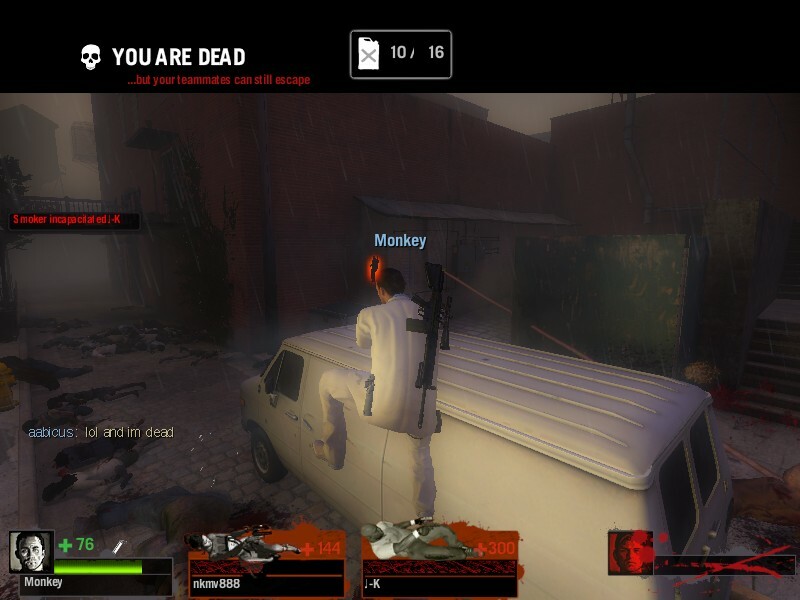 Hard Rain’s storms also reappear briefly, as does Swamp Fever’s third finale tank and The Parish’s concept of a unique melee weapon (the all-rounder golf club). The custom-skinned Bride witch also calls to mind the Marine tank from the first map of The Sacrifice. However as the only DLC campaign, The Passing wasn’t part of the original design and it’s a logical angle to take when a large focus is linking the canon to the original Left 4 Dead. 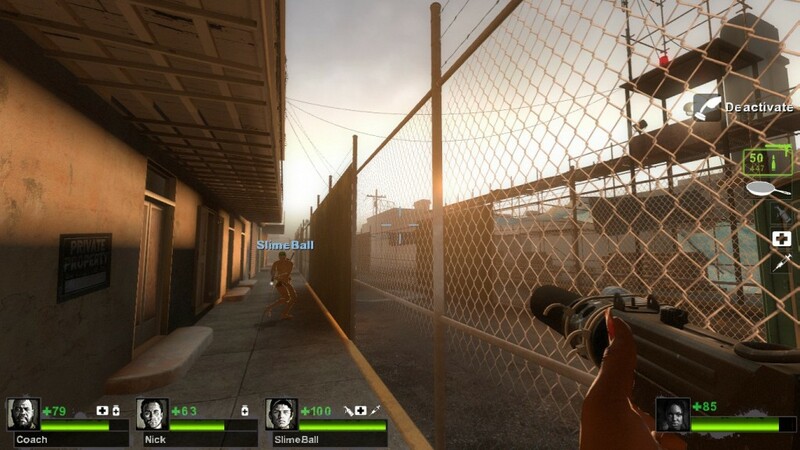 I find the gameplay design choices in L4D2 fascinating in part due to how subtle they are. The overall gameplay never deviates , and yet all of these tiny thematic gameplay choices I described do an incredible job keeping every campaign feeling distinct from each other.